Need inspiration? Selecting your door Handles or Door Knobs by the style you want to acheive is a great filter and gets you straight to the style of door handles, door knobs & cabinet handles you want. 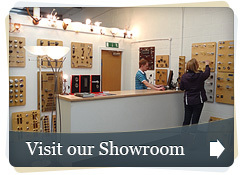 Choose Rustic Handles, Contemporary Handles, Victorian Handles Georgean Handles, Gothic Handles or Art Deco Handles. Here, top brands Philip Watts, Croft Architectural, Frank Allart, From The Anvil, Kirkpatrick, Delamain, Eurospec & Carlisle Brass provide all the inspiration you need to suit your style of home.